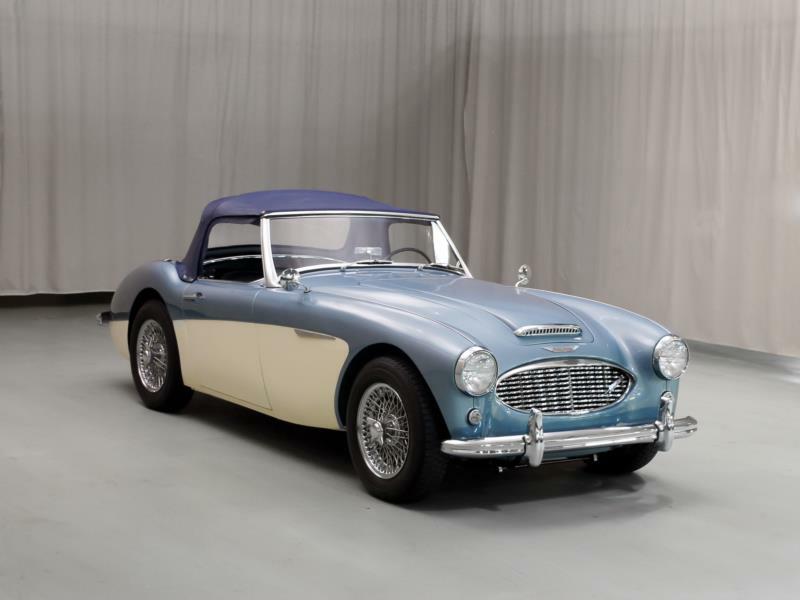 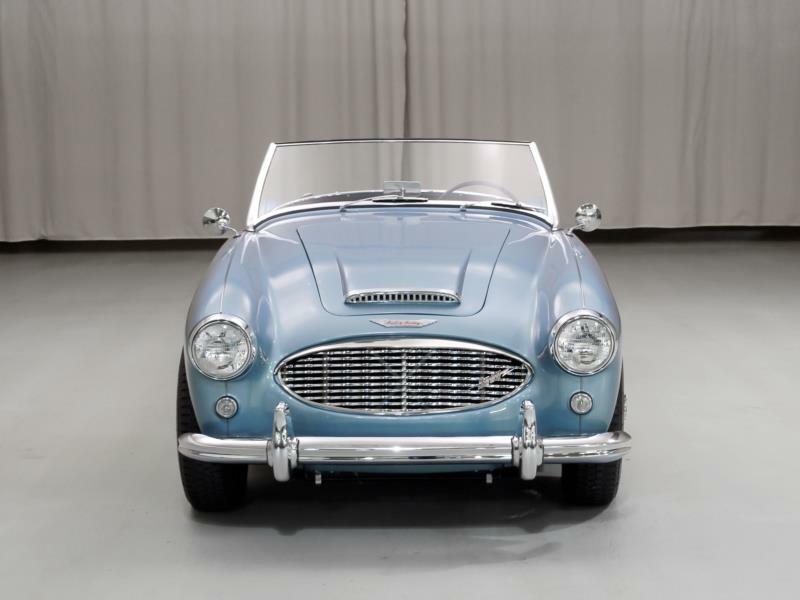 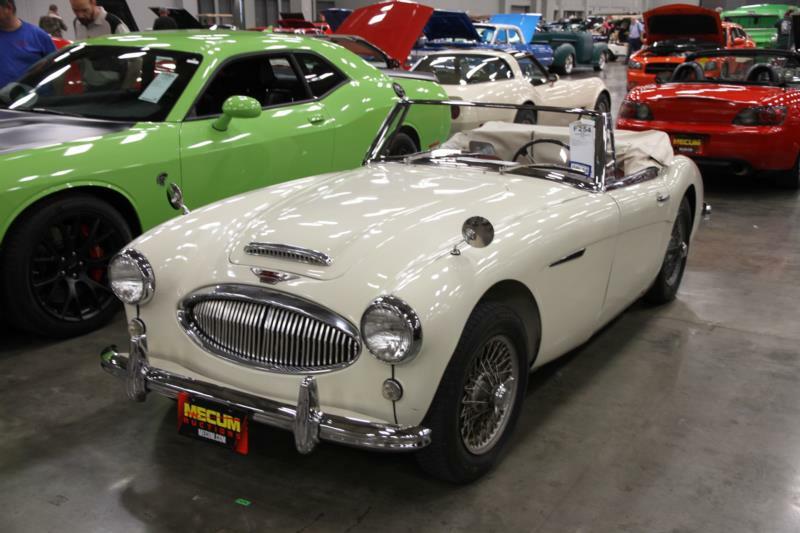 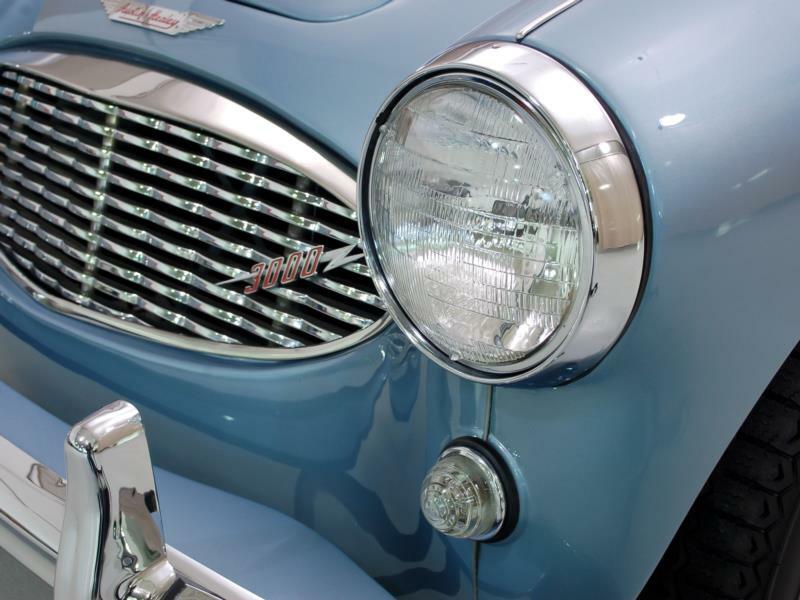 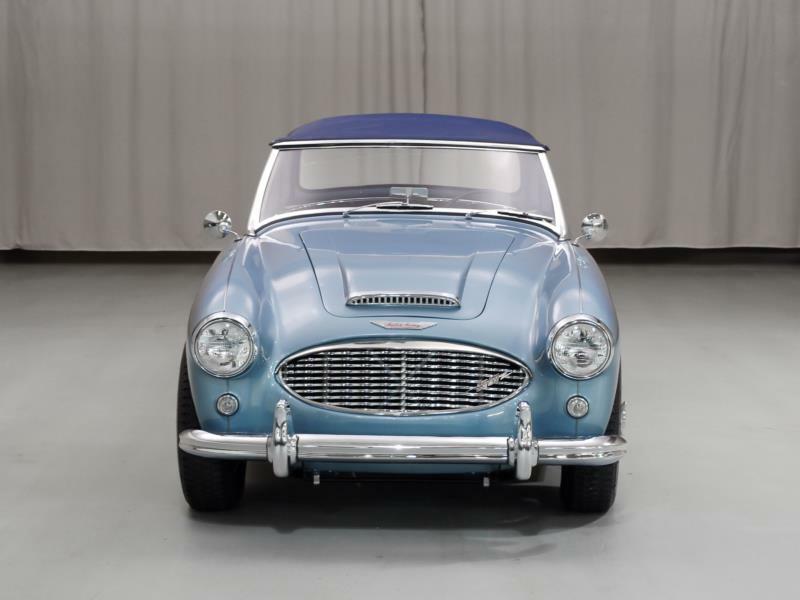 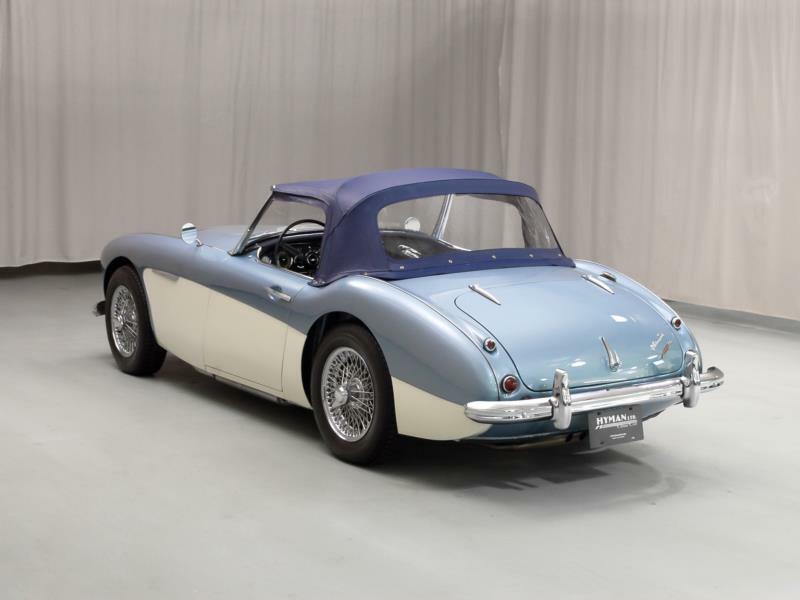 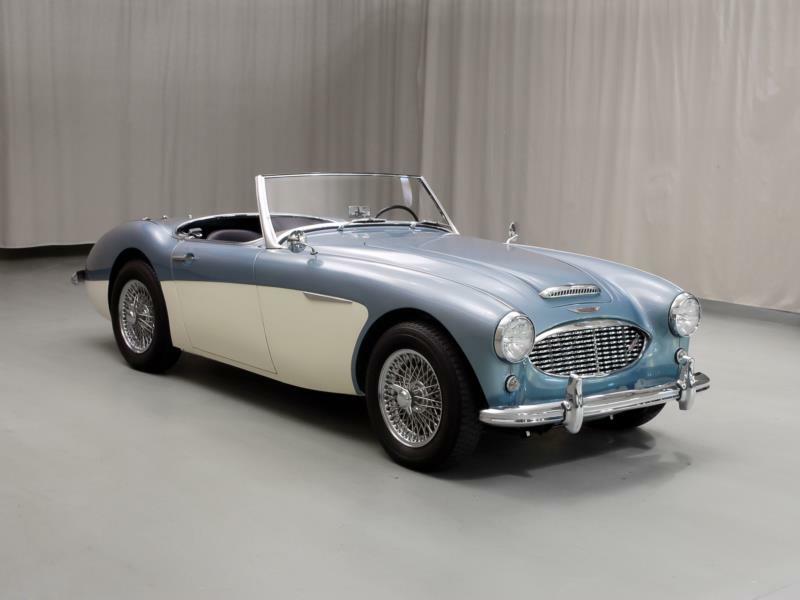 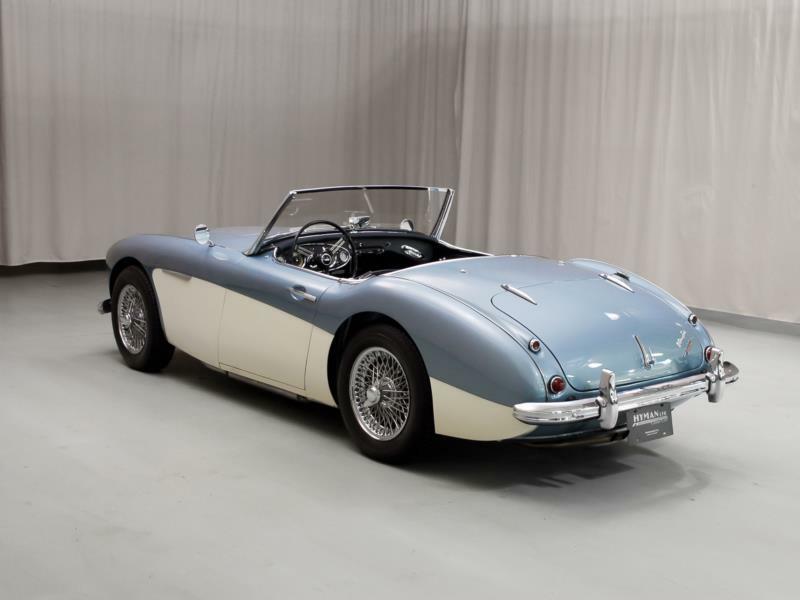 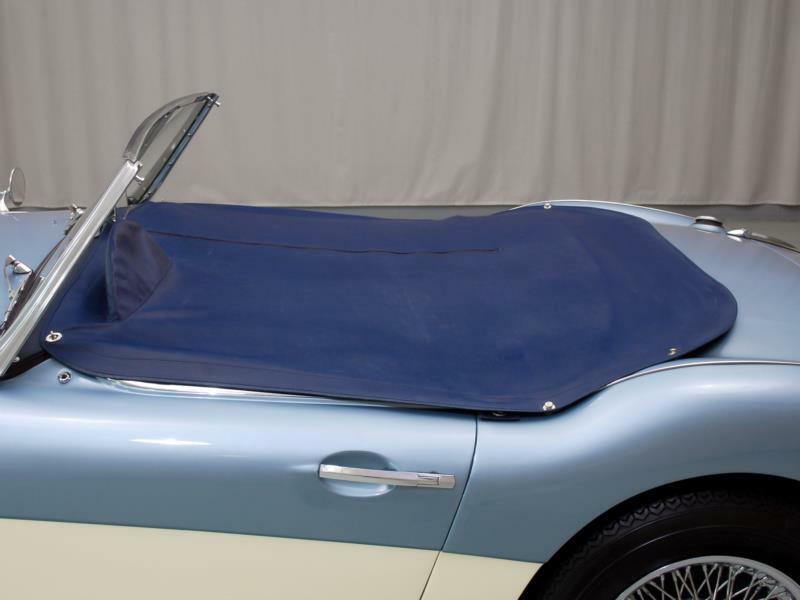 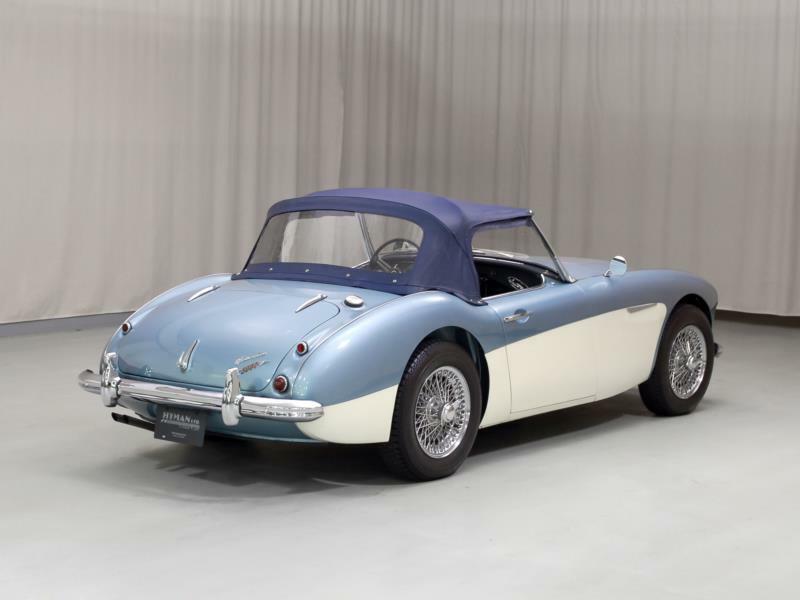 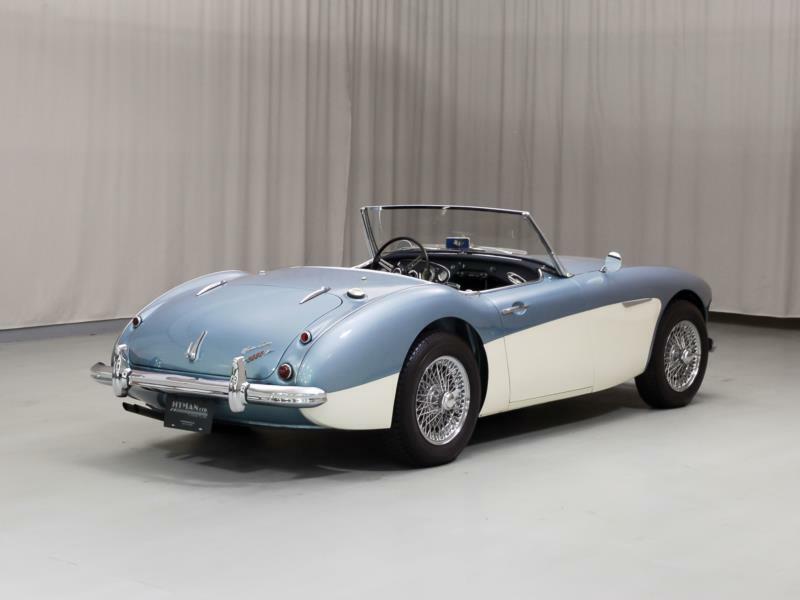 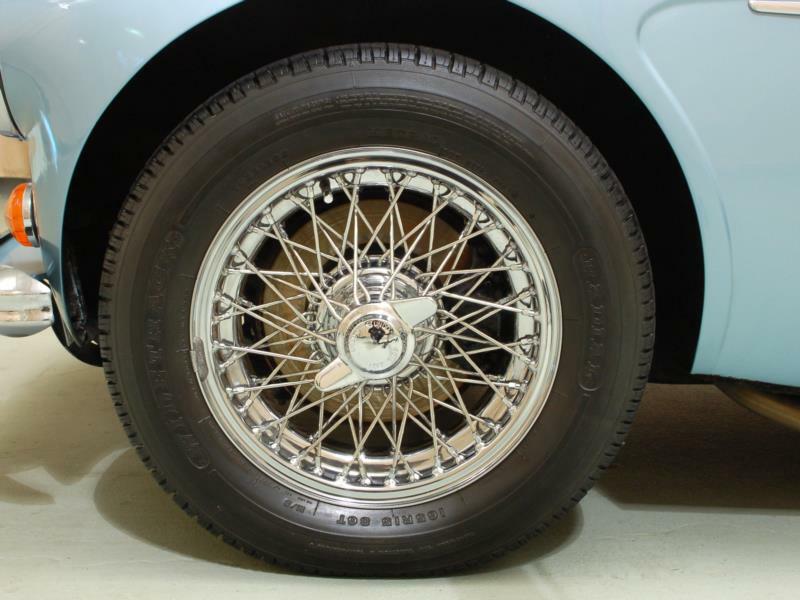 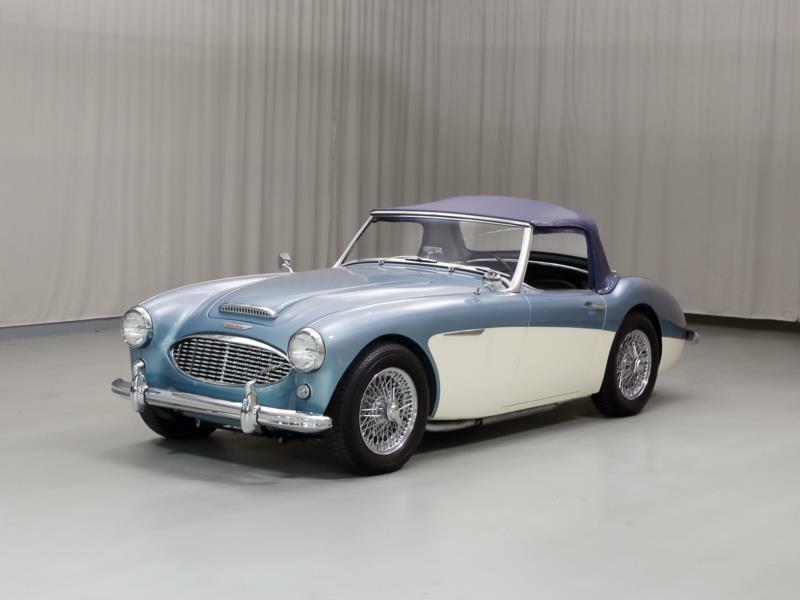 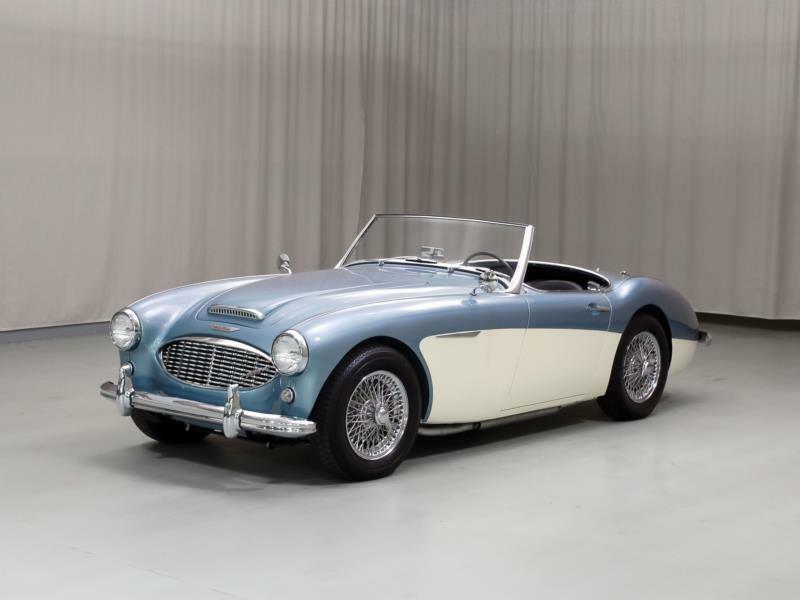 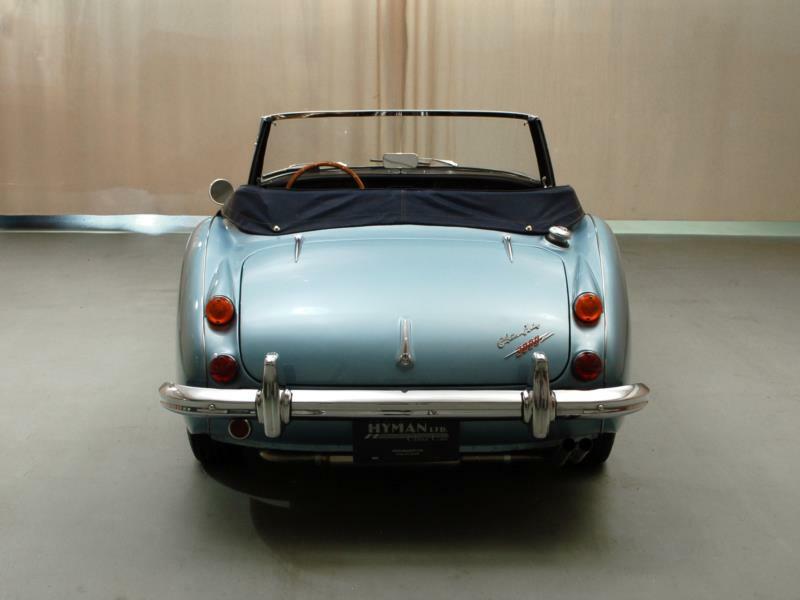 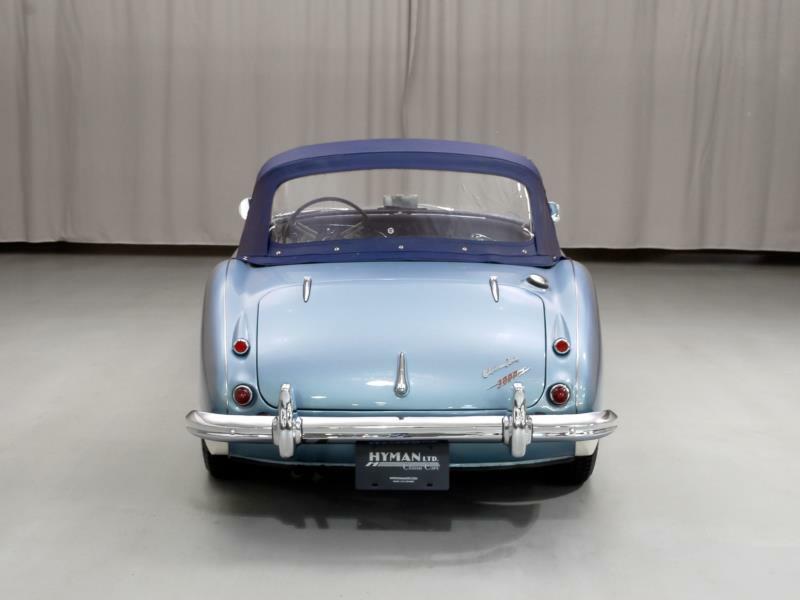 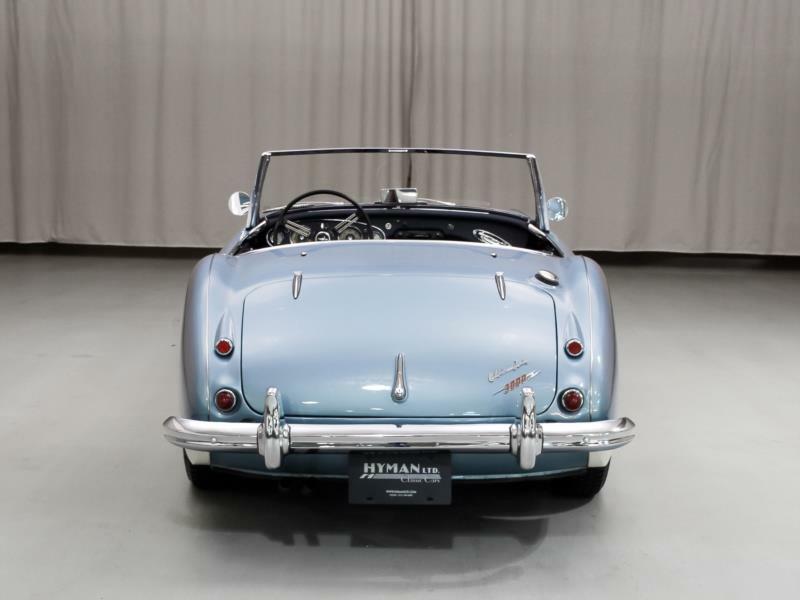 Austin-Healey’s handsome new 100/4 entered the market in 1953 with a 2.6-liter four-cylinder engine in a traditional chassis with independent front suspension and a live rear axle. 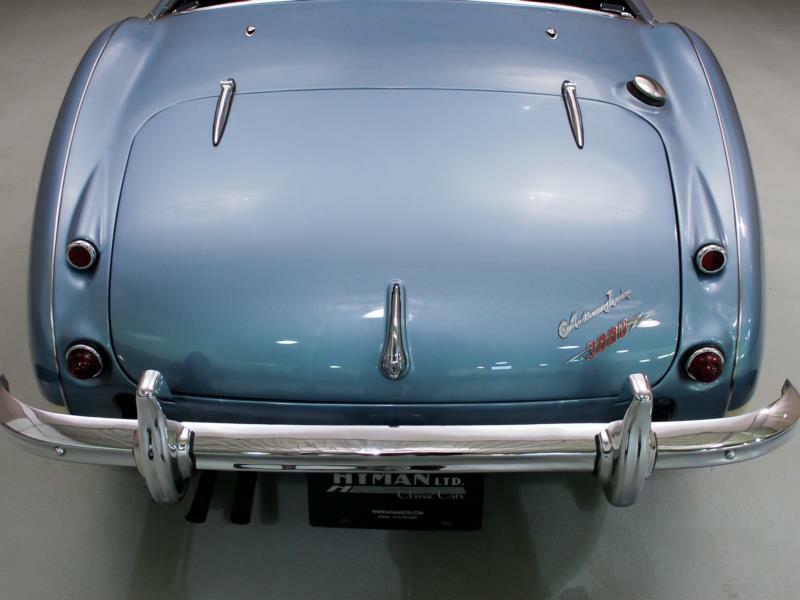 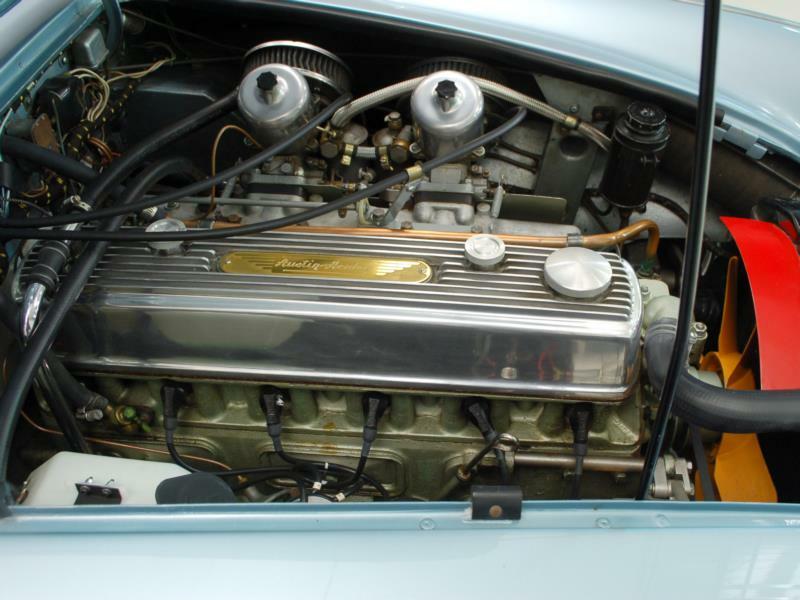 A new grille and a 2.6-liter straight six yielded the 100/6 in 1957, which was in turn replaced by the 3000 of 1959. 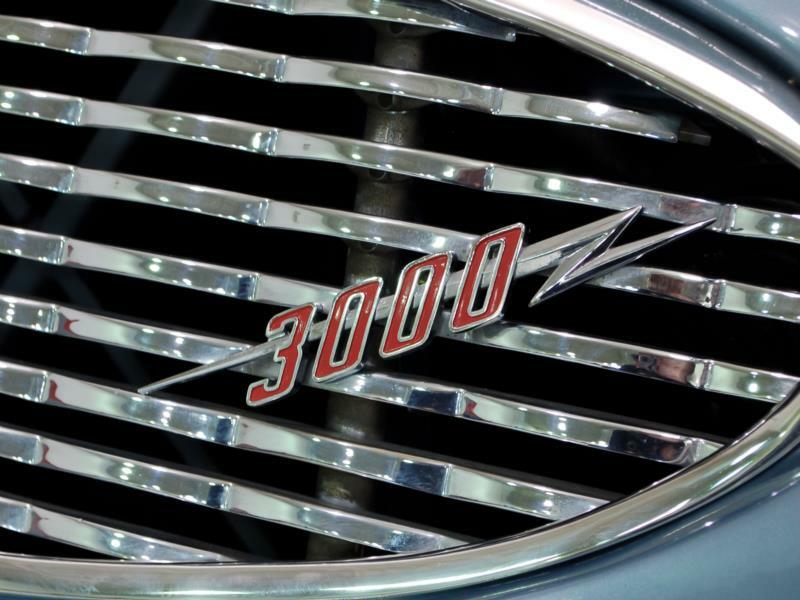 Big news for the 3000 included front disc brakes and a 124-hp 2,912cc straight-six. 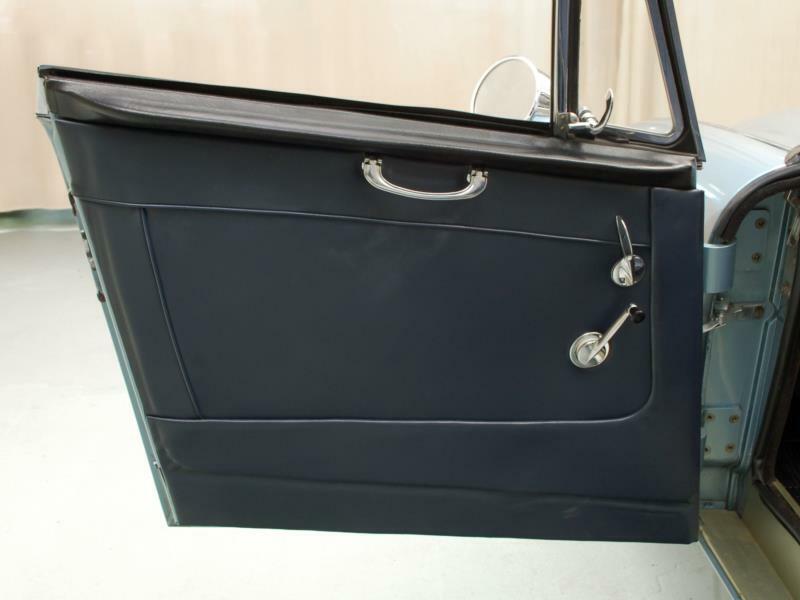 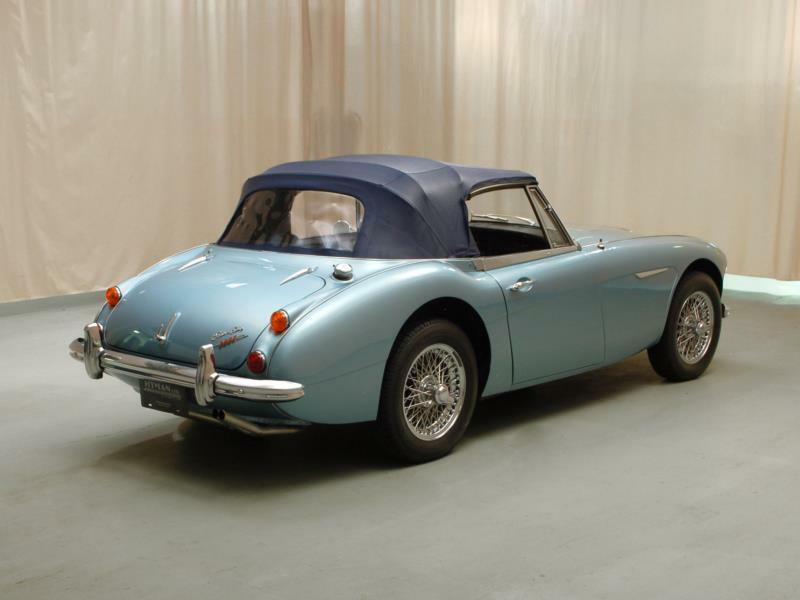 Available in two and four-seat versions, almost 14,000 were sold before it was replaced with the 3000 MkII in 1961. 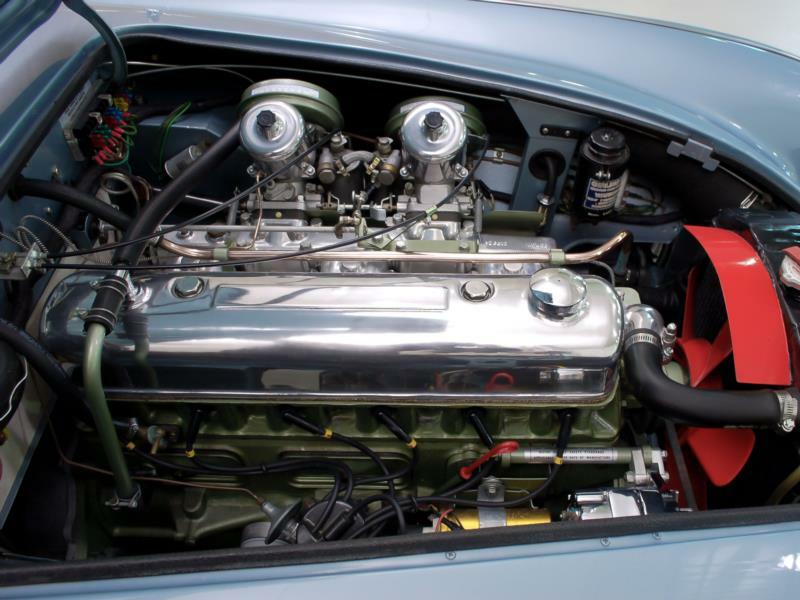 The big difference was a triple-carburetor engine rated at 132 horsepower. 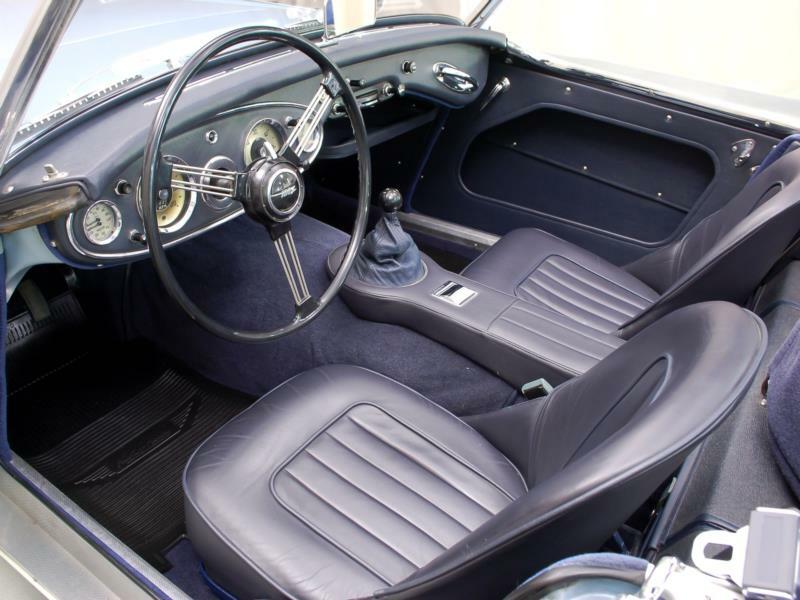 Late in 1962, the two-seater was dropped, roll-up windows were introduced and the revised twin carburetors added 2 horsepower. 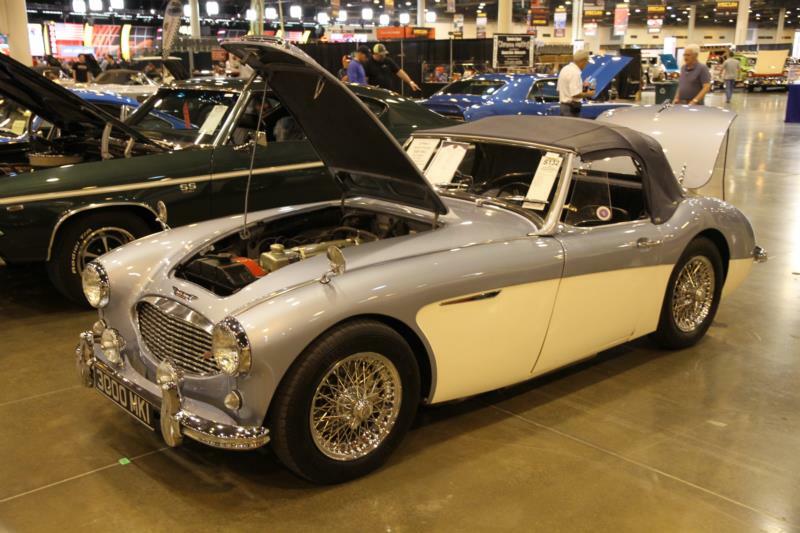 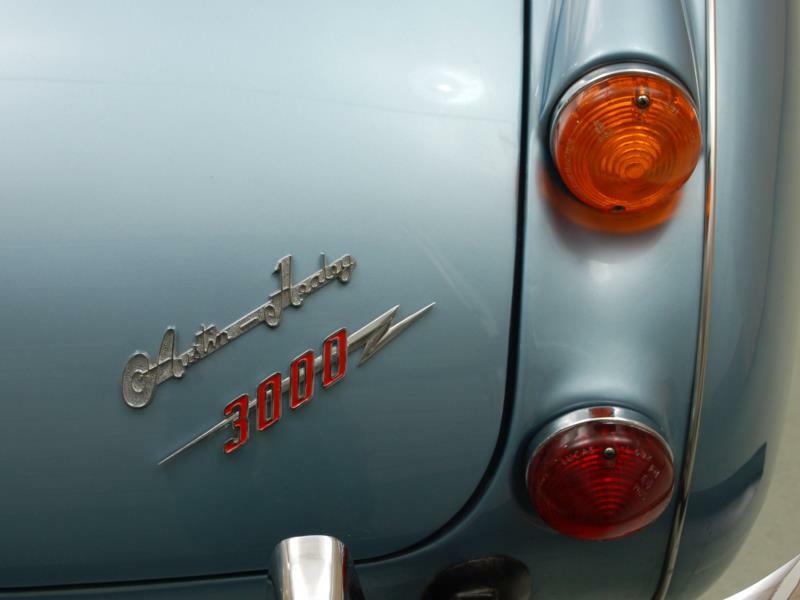 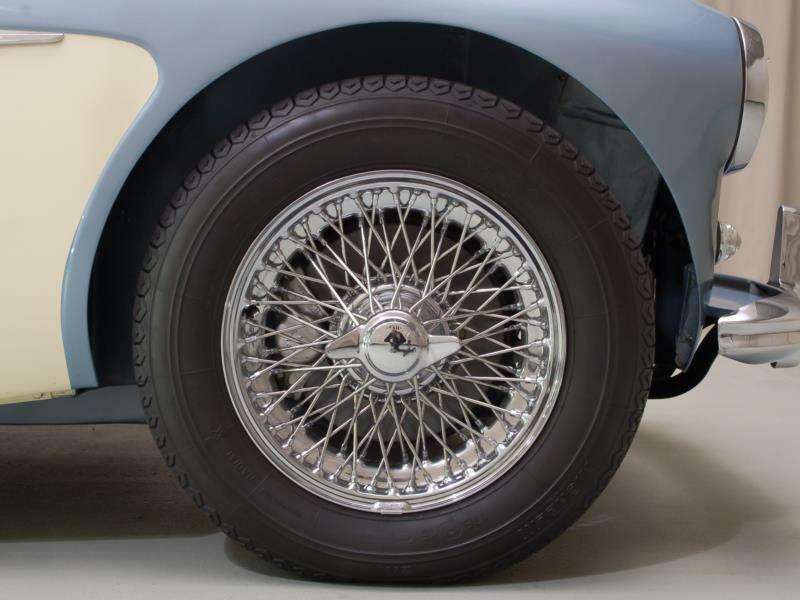 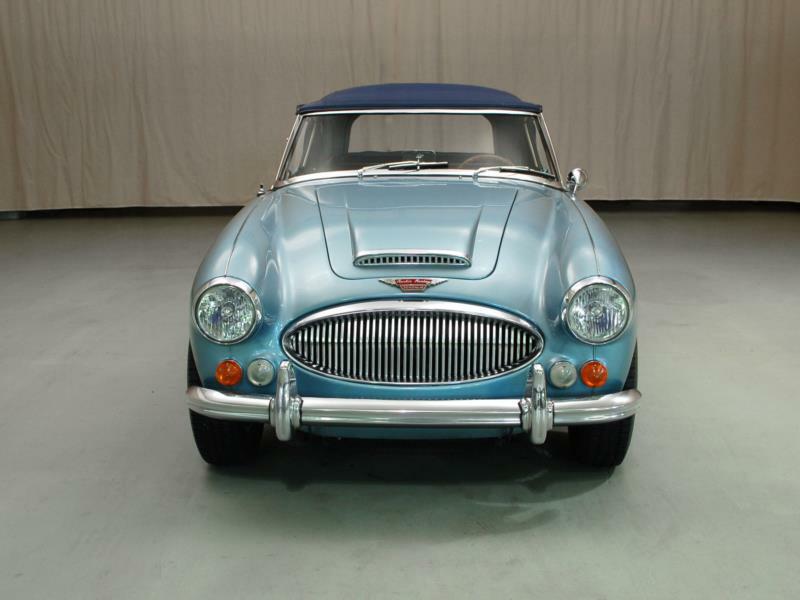 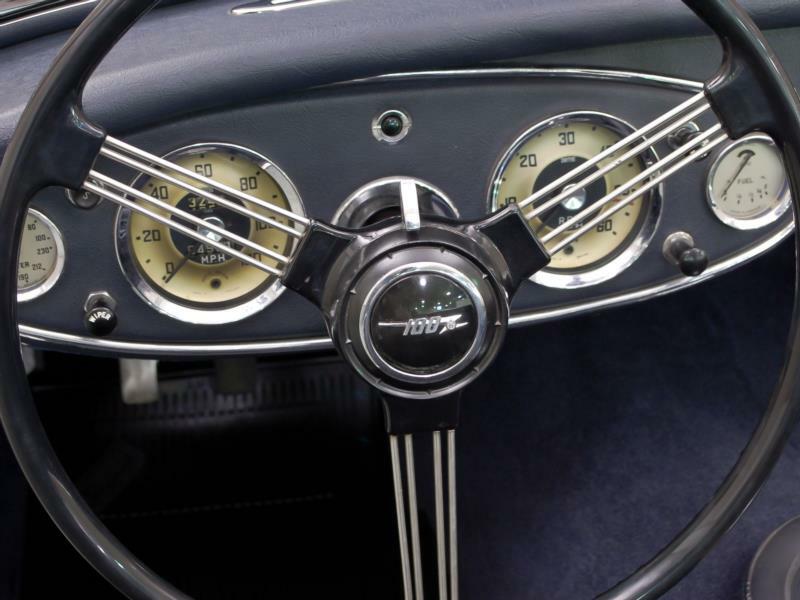 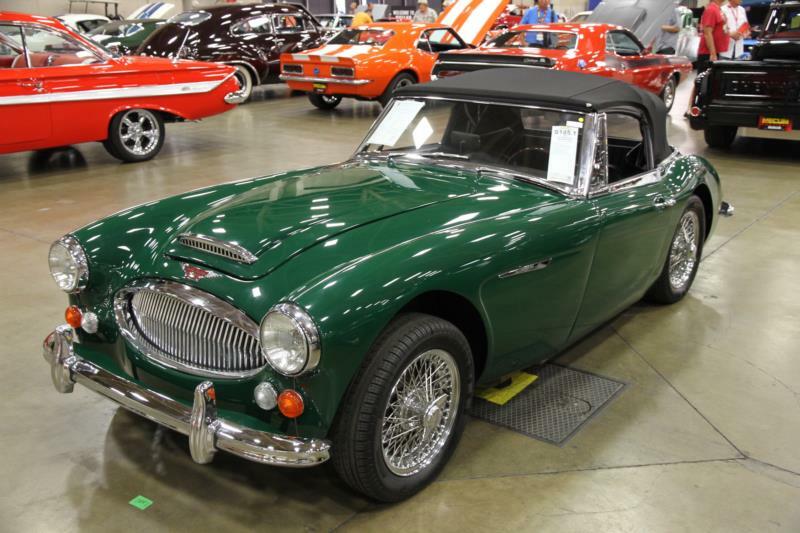 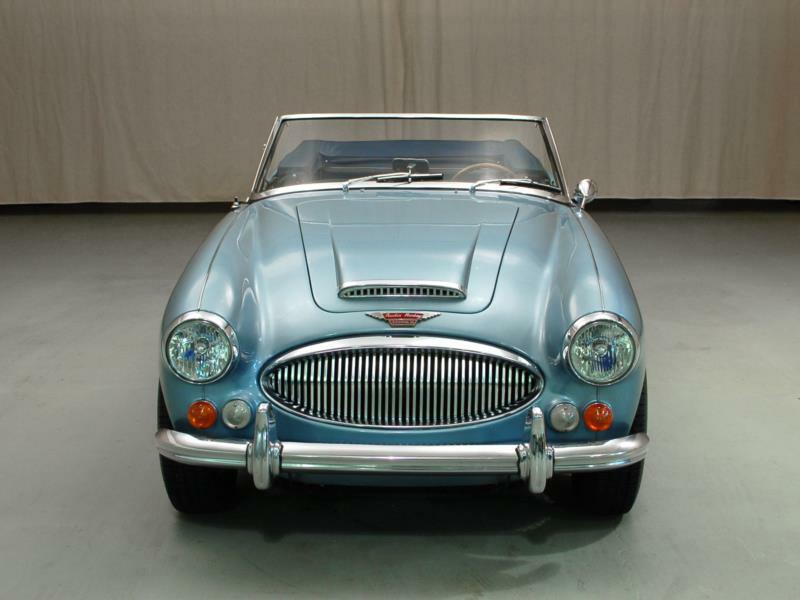 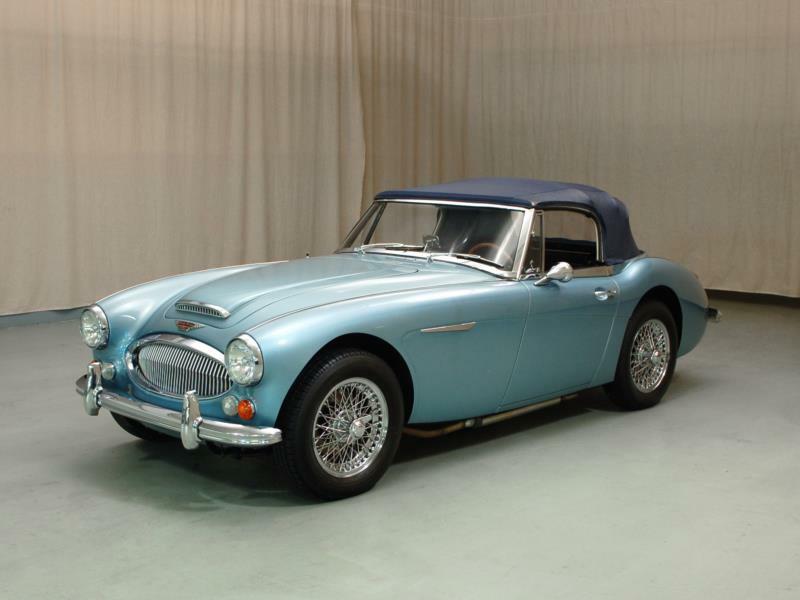 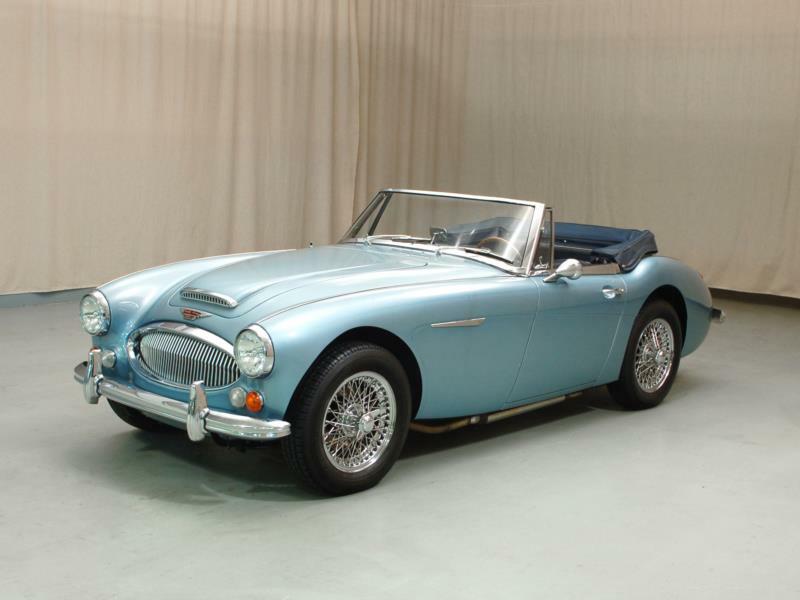 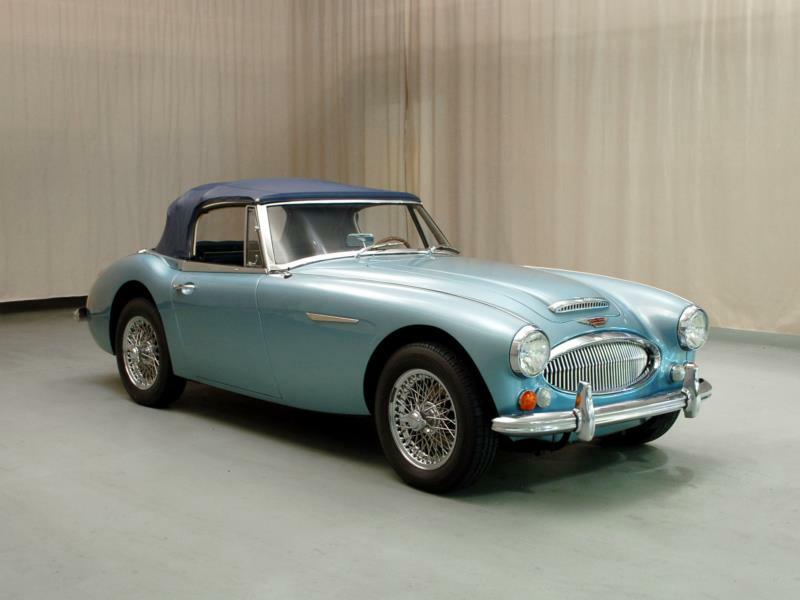 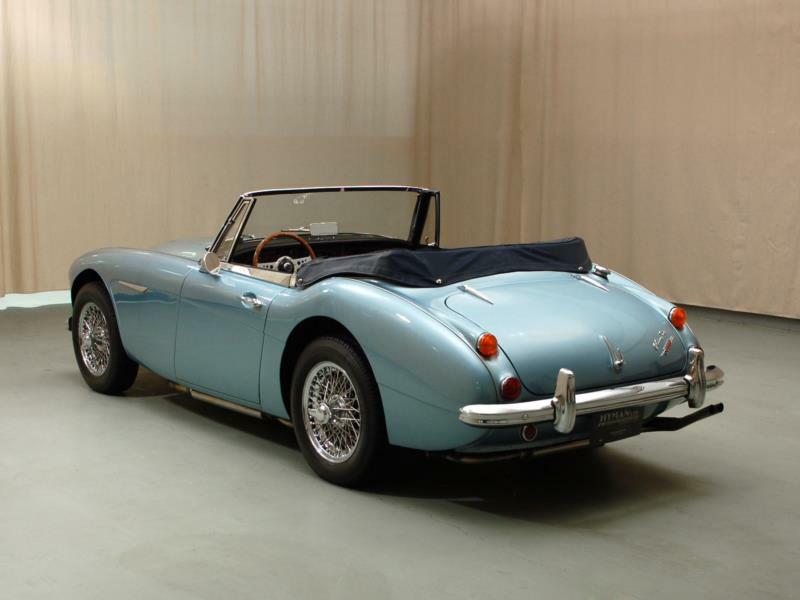 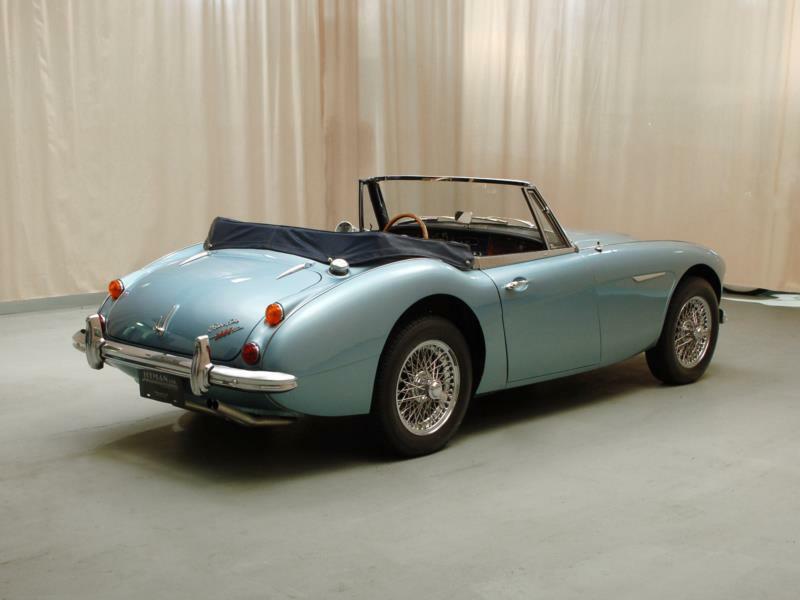 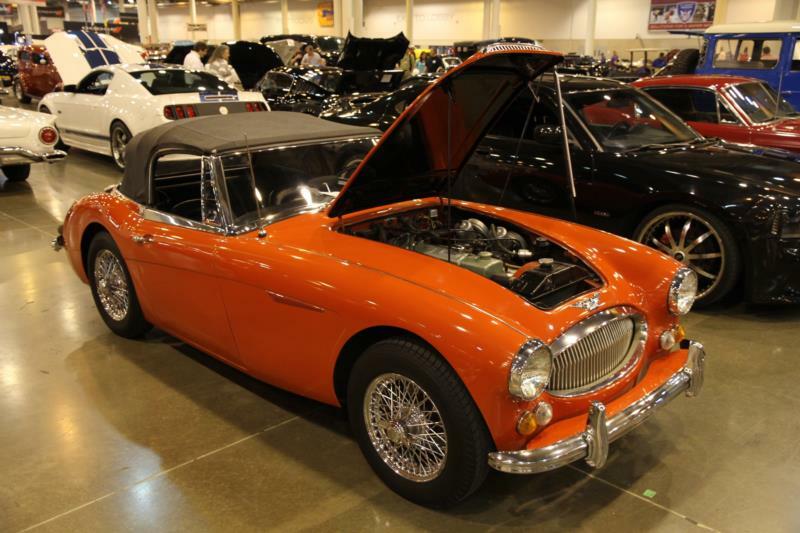 The final iteration of the Austin-Healey 3000 was the MkIII version of 1964. 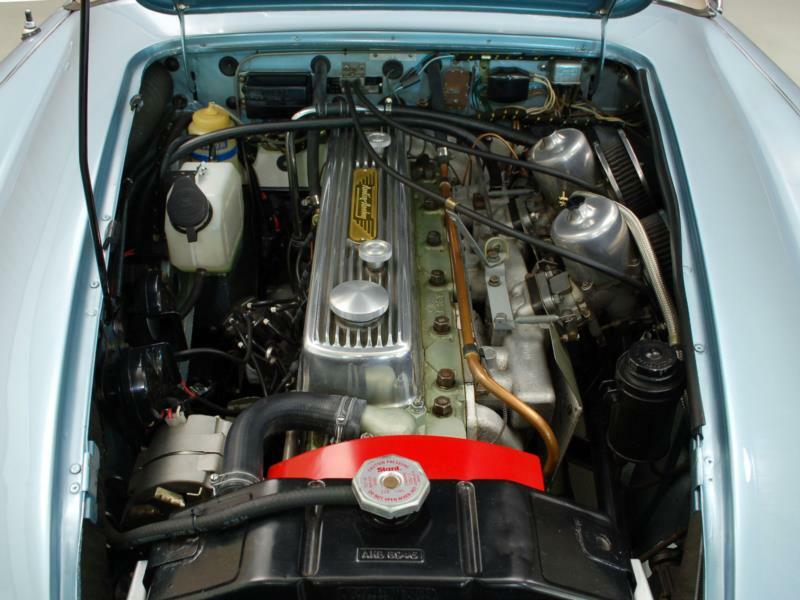 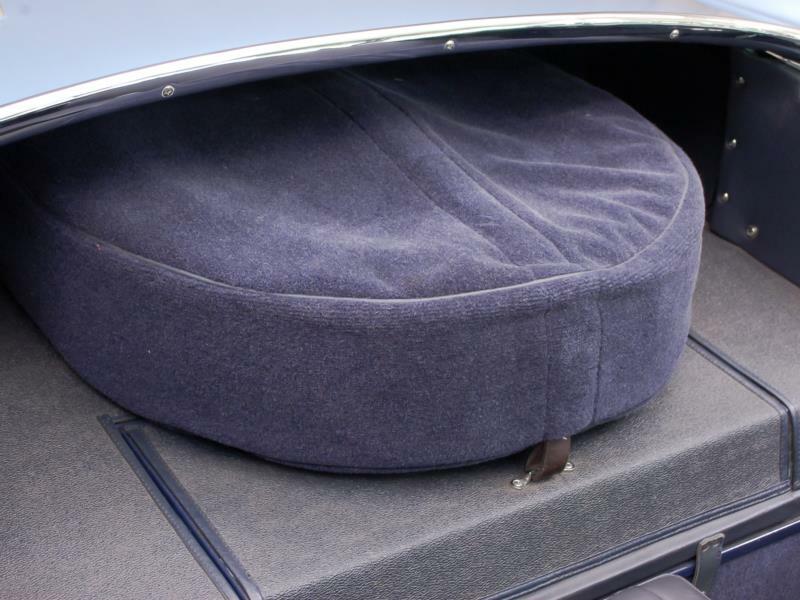 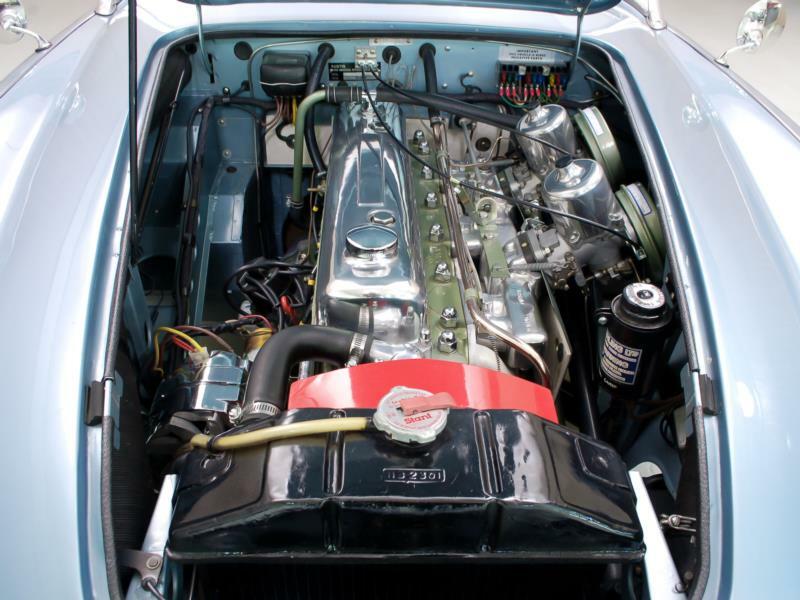 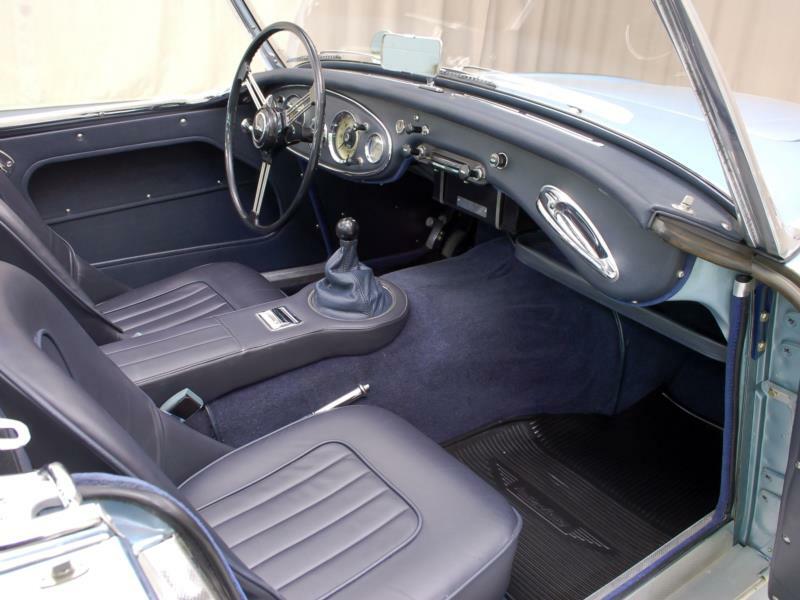 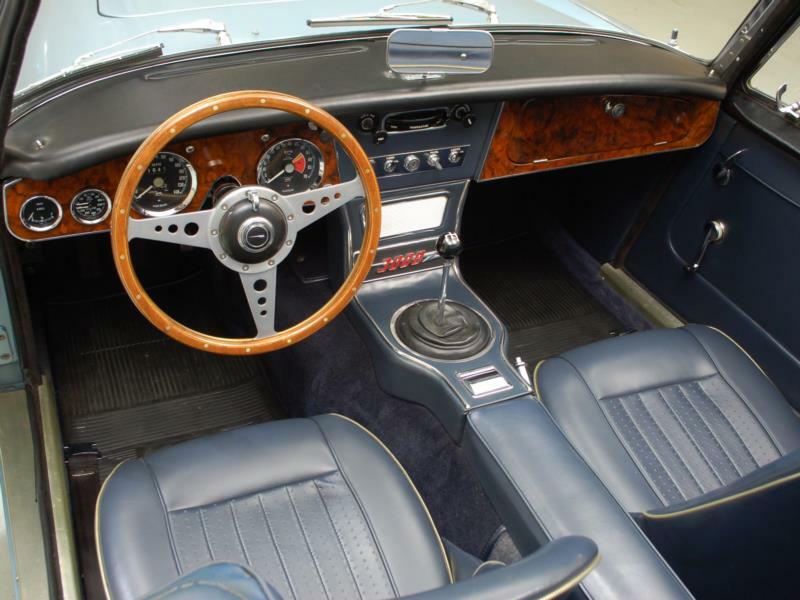 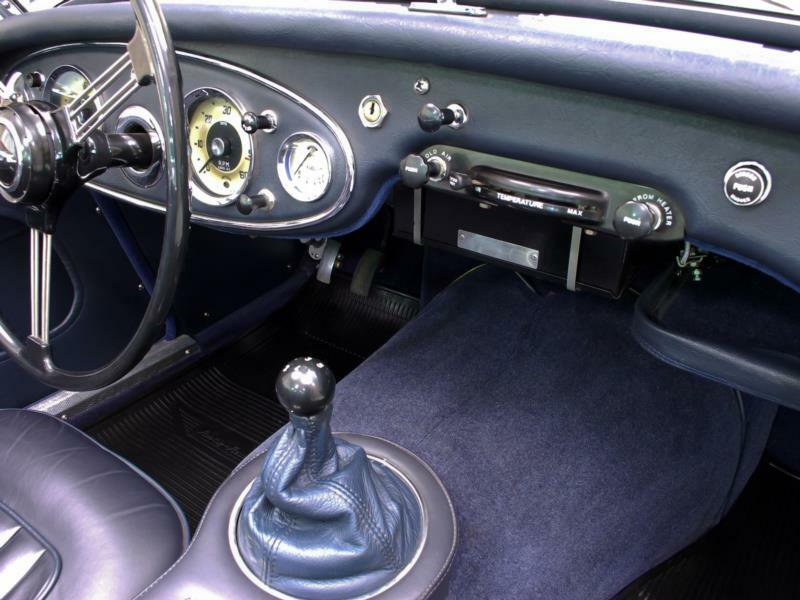 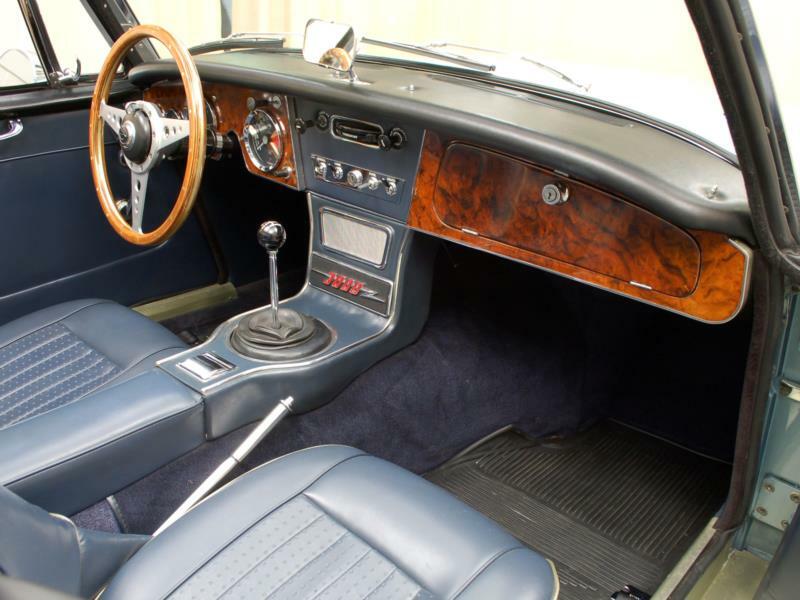 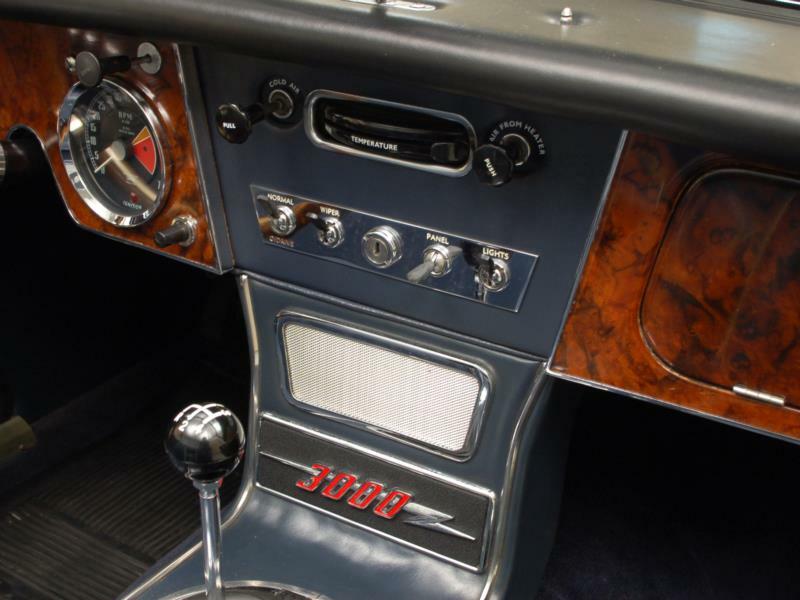 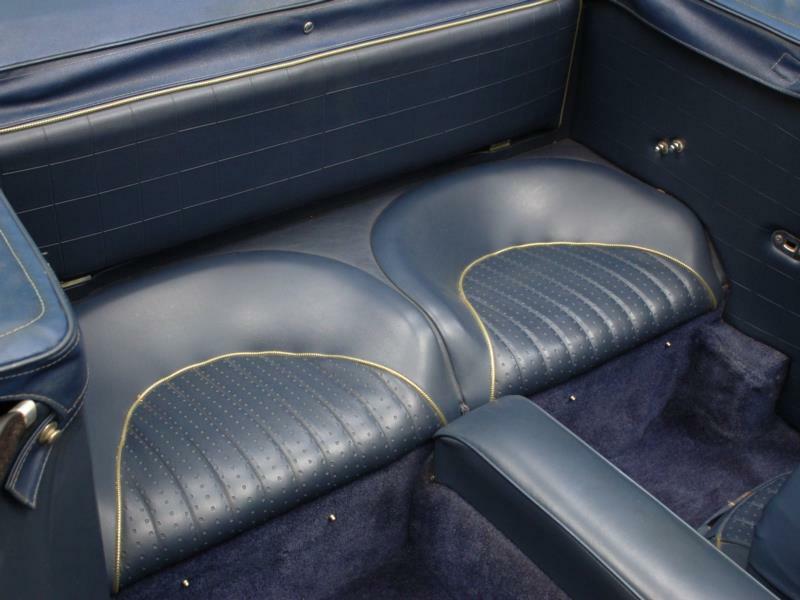 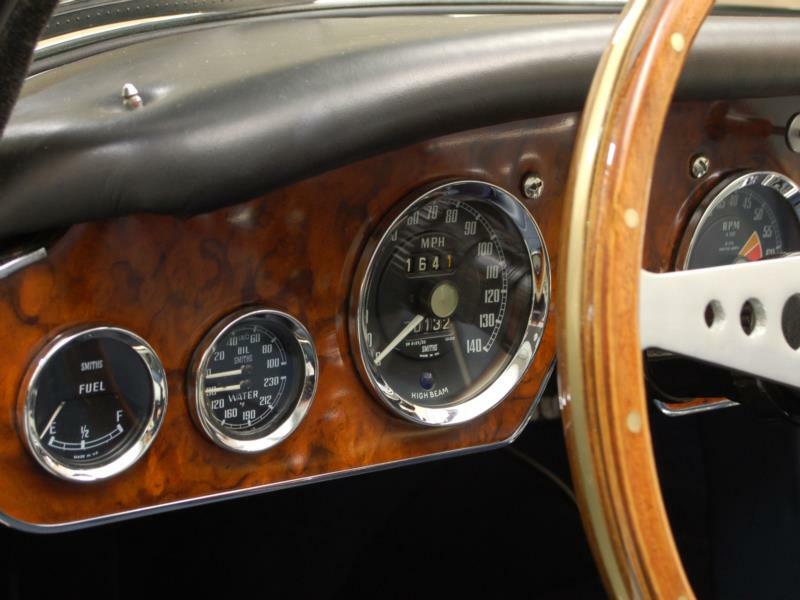 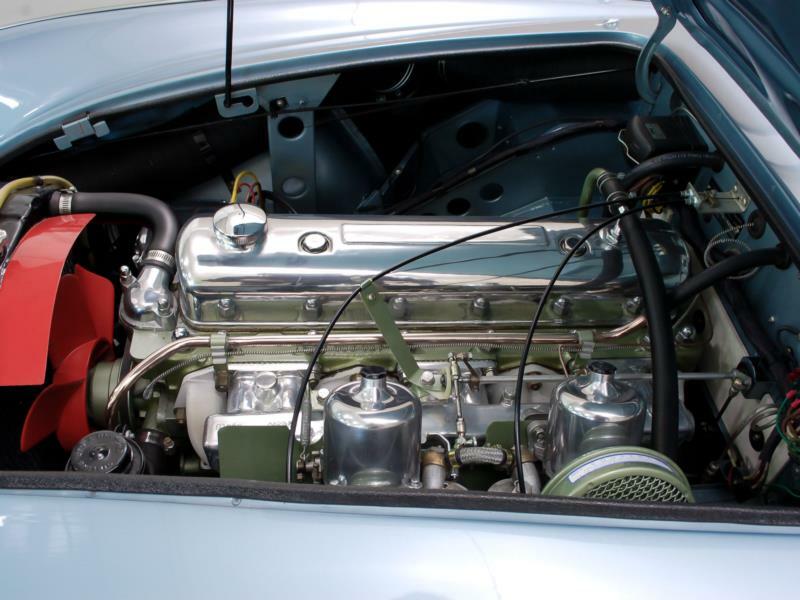 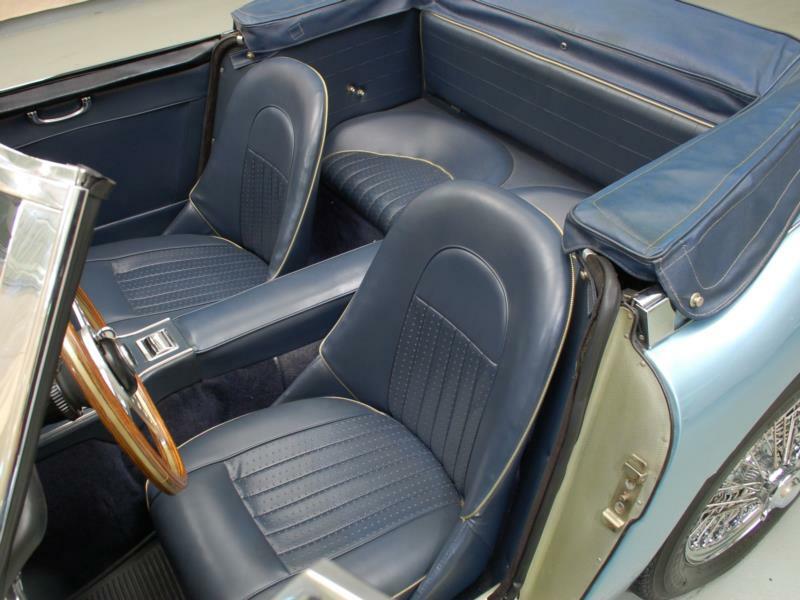 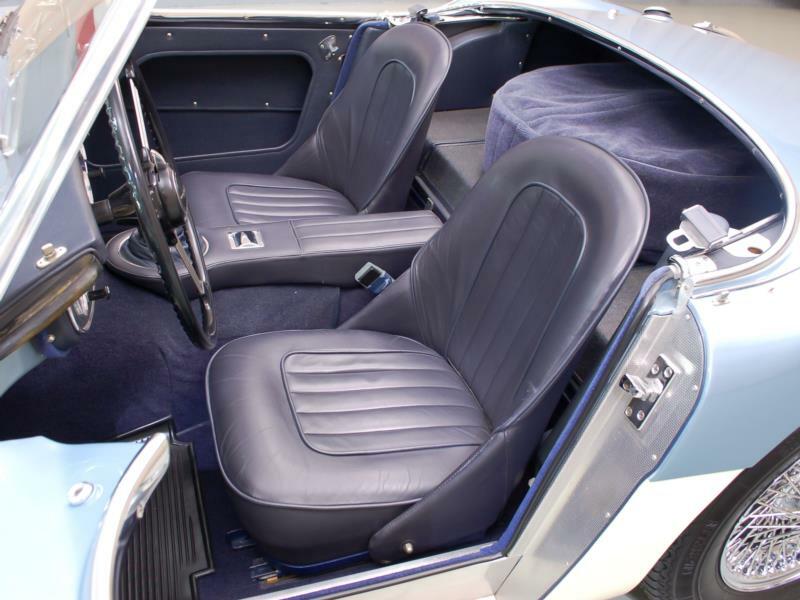 Power was up again, this time to 150 horsepower, and the cockpit was extensively revised to make the 3000 MkIII the most luxurious of all big Healeys. 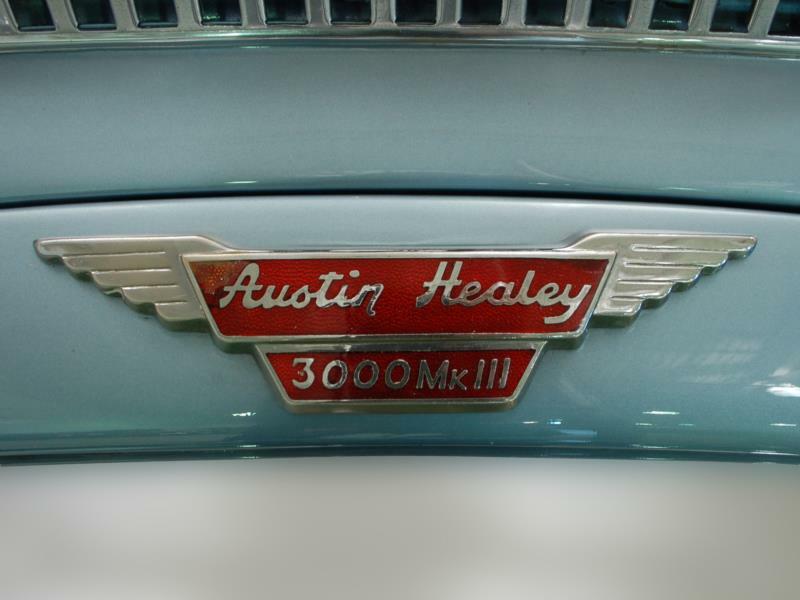 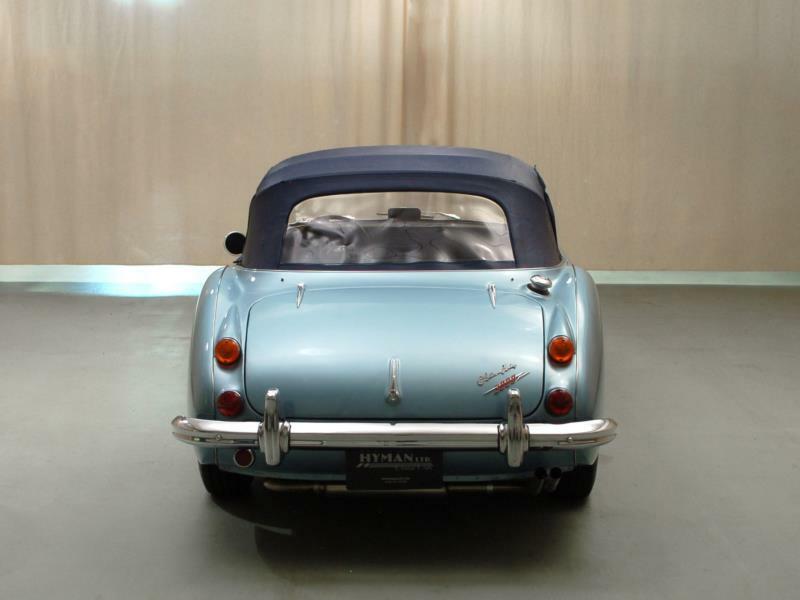 All Healey 3000s are powerful, good looking and very collectible. 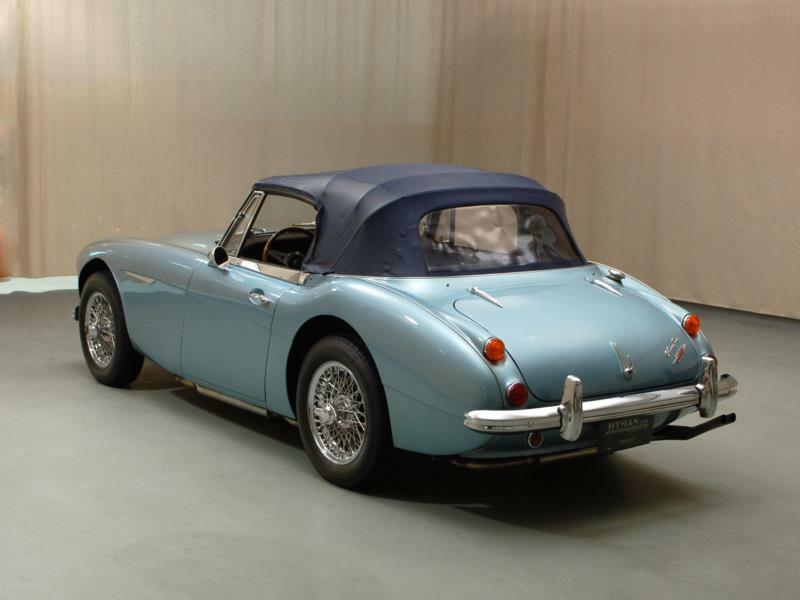 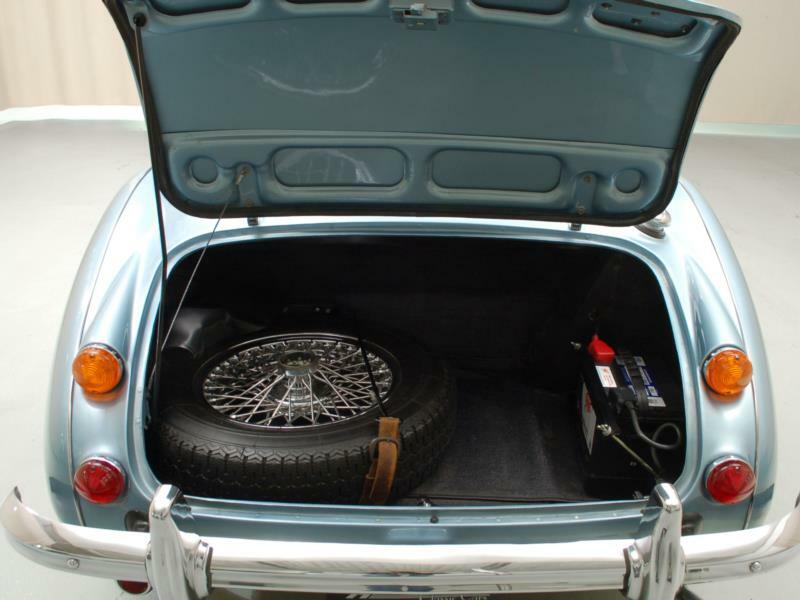 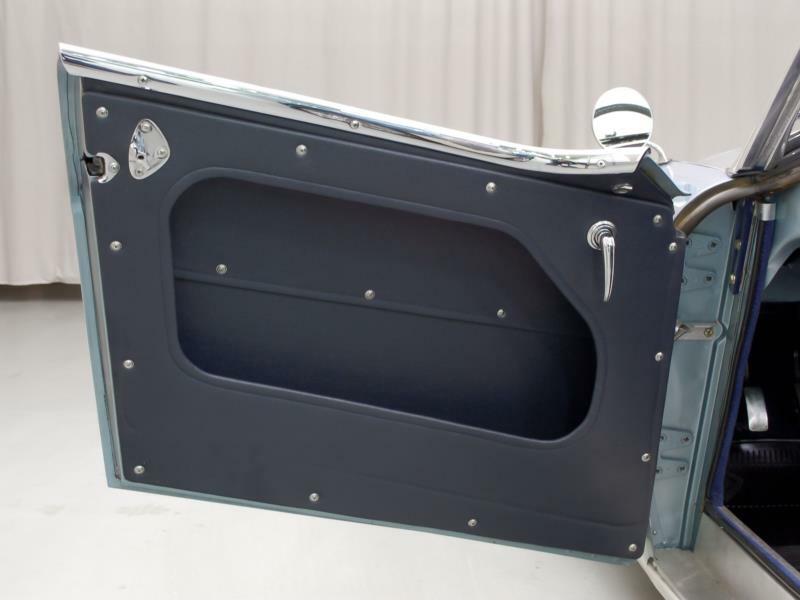 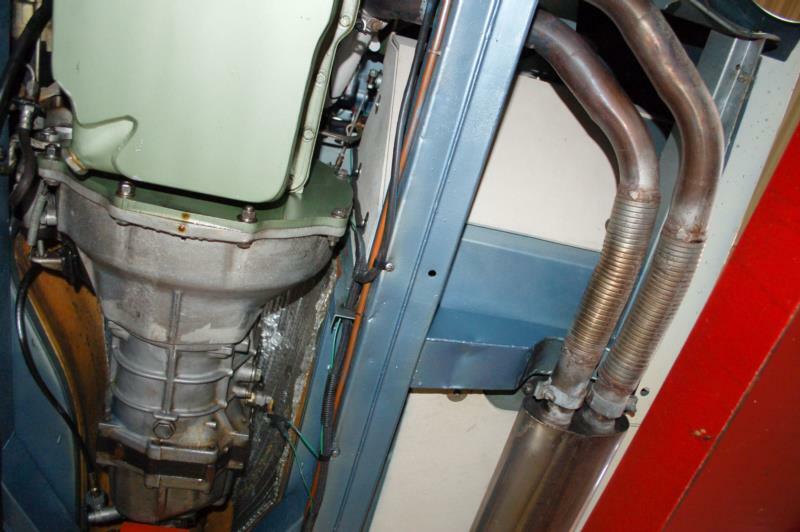 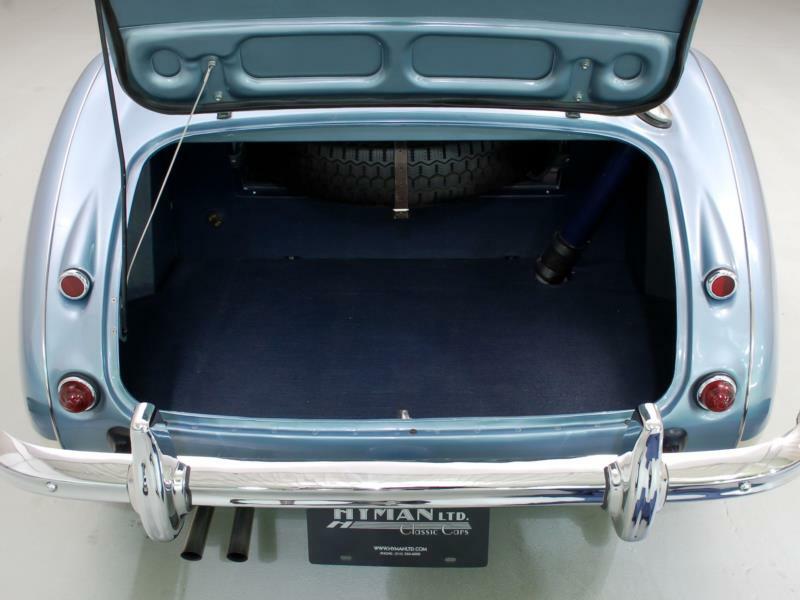 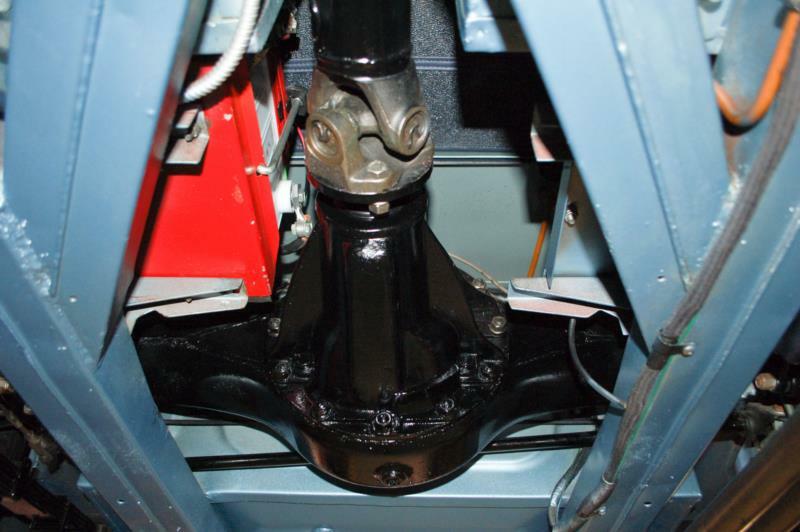 The two most popular models are the two-seat, three-carb MkII and the 3000 MkIII.